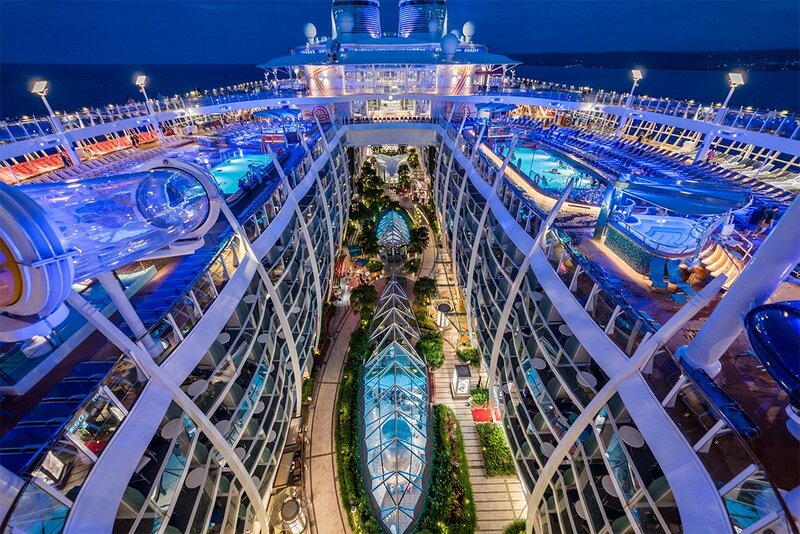 Love Royal Caribbean? Need a "fix" until your next cruise? Every week we share our readers' favorite Royal Caribbean cruise photos so that we can all enjoy a "virtual escape" onboard! We begin this week with a photo of a busy day on Anthem of the Seas, taken by Jason Nolan. Next is this beautiful photo taken on Harmony of the Seas by Twangster. John Bamber took this photo of DNCE performing on Oasis of the Seas. We are back on Anthem of the Seas for this photo, this time of the SeaPlex. This photo was taken by Matt (not me). Jean Francois "Jay" Bekono took this photo from a day at sea. Here is a look at a glacier, taken by Kinny Lee on Explorer of the Seas. Kay Lynn Akers took this photo of Harmony of the Seas from onboard the Carnival Glory. Thank you to everyone for sharing these wonderful photos with us. If you would like to share your best Royal Caribbean cruise photos, use this form to submit them.